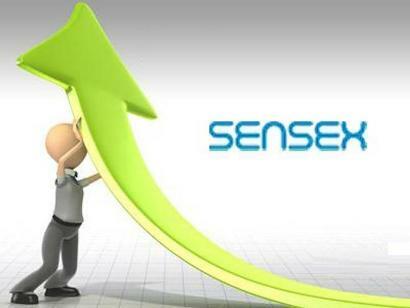 Mumbai: The benchmark BSE Sensex rose over 111 points and the NSE Nifty soared to a new life-time high of 7,924.90 in early trade on Friday as IT, oil & gas, power and consumer durable stocks led the rally on sustained capital inflows. Besides, a firming trend overseas also buoyed market sentiments. The BSE 30-share barometer spurted by 111.09 points, or 0.42 percent, to trade at 26,471.20, approaching its life-time high of 26,530.67 reached on August 19. It had gained 45.82 points in yesterday's session. All the sectoral indices were trading in positive zone with gains up to 0.70 percent. The NSE Nifty also maintained its upward journey and breached all previous records by surging 33.80 points, or 0.42 percent, to trade at an all-time high of 7,924.90, surpassing its previous record high of 7,922.70 touched on August 20. Besides widespread buying by funds and retail investors on a firming trend at other Asian bourses after the US markets closed at another record-high on the back of decline in new claims for unemployment, covering up of short positions by speculators buoyed trading sentiments, brokers said. Among other Asian markets, Japan's Nikkei gained 0.20 percent, while Hong Kong's Hang Seng was up 0.24 percent in early trade today.